This dispenser has a simple, clean design. 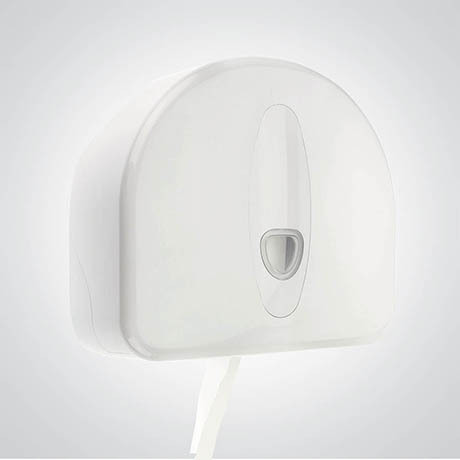 Made from high impact plastic and with a locking mechanism and enhanced anti vandal resistance, this product is a cost effective, secure solution for any business. Will hold roll with core diameter – 2.25" – 3"